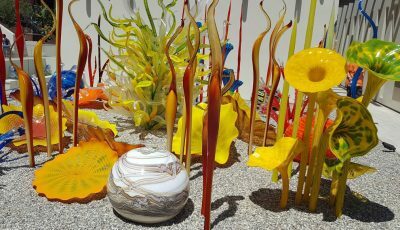 As much as we think of Catalina as being a summer destination, there is a lot to do even in the off season. 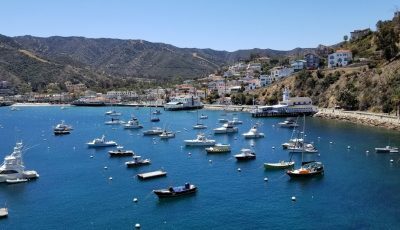 My girlfriend Cat and I recently went out before the chill of winter arrived and had the good fortune to stay at two beautiful hotels on Catalina Island: the Aurora Hotel and the Avalon. But getting out proved to be a bit more challenging than usual since our normally dependable local ferry, the Catalina Flyer, will not resume operation out of Balboa Village until March 1. Mike Donegan, the Catalina Flyer owner, told me that he heard transmission noise while the boat was in the harbor, so he’s taking advantage of the off-season down time to overhaul the entire boat. Plan B was not as convenient for those in Newport Beach but just as luxurious: the Catalina Express, which leaves from Long Beach and Dana Point. We opted for Dana Point since it’s an easy drive and the harbor is more accessible. 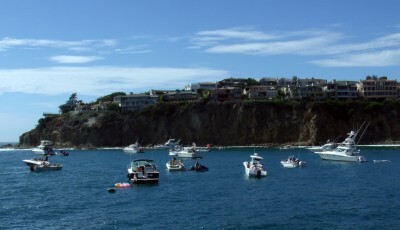 The trip to Catalina was about the same as from our Newport harbor, and we pulled into Avalon in about 50 minutes. We checked in at the lovely Aurora Hotel, a charming and quite modern boutique hotel just a half block off the main street. 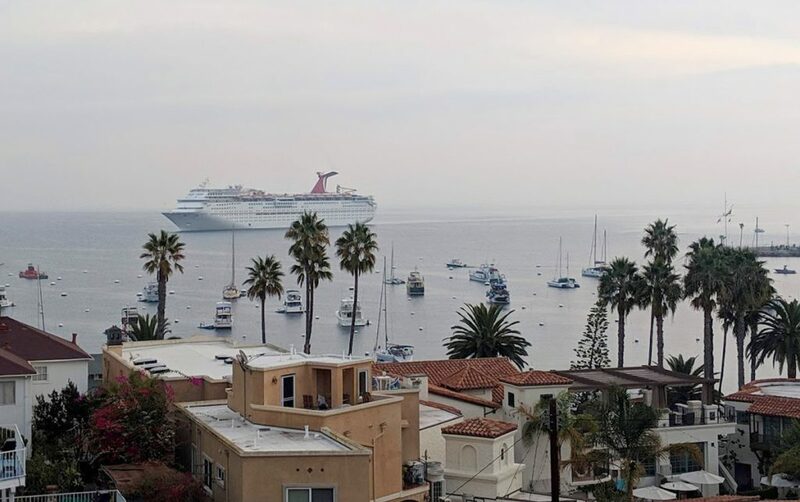 For lunch, we opted for the Catalina Food Tours, a three hour overview of some of the best restaurants in town, including Steve’s Steakhouse, where we had a great sampling of the restaurant’s cuisine plus a terrific harbor view from the second floor. From there we enjoyed shrimp and crab cakes at Bluewater Seafood, burritos at Maggie’s Blue Rose, potato tacos (yum!) at Coyote Joe’s, and some of the best dark chocolate we’ve ever had at the Catalina Coffee & Cookie Co.
By then it was time to relax. The nice thing about Catalina, and Avalon, is that the weather there is as picture perfect as our lovely harbor here in Newport. The next morning’s continental breakfast at the Aurora was terrific, made even more lovely by the rooftop deck with a panoramic overview of the entire harbor. We checked out and moved on to our next residence for the night: the quaint Avalon Hotel, one of the more historic hotels on the island. This lovely 15 room hotel also has a terrific rooftop deck with an even more panoramic 360-degree view of the city. They also offer a comfortable continental breakfast with a more sedate and contained eating area, surrounded by tropical foliage. The afternoon was spent doing something we have never done; taking an interior Hummer tour out to Cape Canyon. This 4.5 hour overview was just what we needed to truly feel like we were not in Southern California, which is made even more clear by the well-known but not always seen bison herds. 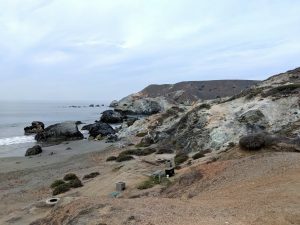 When you go to the interior of Catalina Island, you never know if you will find them or not, but over the course of the afternoon we encountered the massive creatures four different times. The tour covered the northern portions of the island and took us over to the Little Harbor campground. Overall the tour is well worth the time and the price of admission. Thinking about a great Valentine’s gift? A night’s stay at either the Aurora or Avalon Hotel would score points. 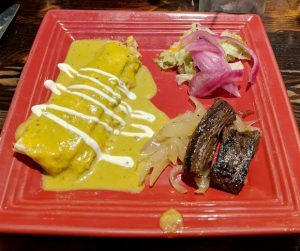 For foodies, the Catalina Food Tour is not to be missed. 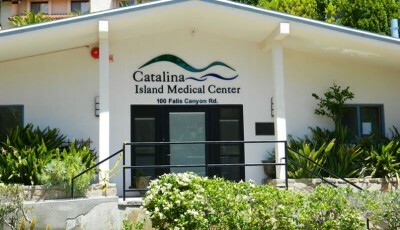 If your family or special someone likes adventures, then Catalina has it’s share. 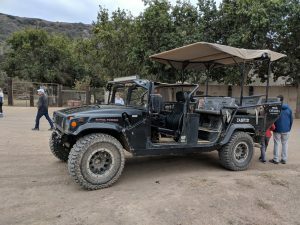 Along with the interior tour (one of several available), they also have the infamous Catalina Zipline tour that can get your heart and adrenaline racing for hours. Catalina is sometimes out of sight, but since we see our island paradise on most clear days and evenings, we highly suggest a winter tour. 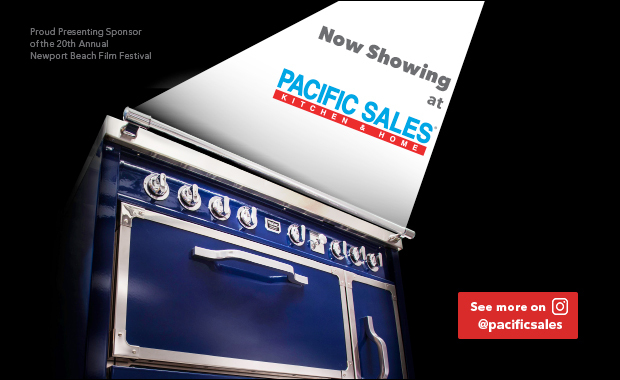 Less crowded, better prices, and just what you might need to get away from the Orange County crowds.